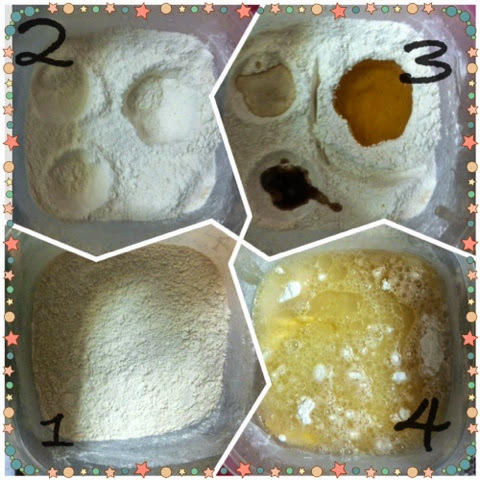 Mix first 5 dry ingredients in a greased 8" square baking pan. Make 3 depressions in dry ingredients, with one being bigger (for the oil). Pour vinegar in one depression, vanilla in the other and the vegetable oil in third larger depression. Pour water over all. Mix well until smooth. Bake for about 35 minutes. I always use a toothpick in the center to make sure its done before pulling it out.